It feels like every Christmas season, businesses are competing for your hard-earned cash in new ways. The festive marketing is everywhere trying to get you to spend a little extra. And if you’re getting out of debt or building up your savings, the phrase extra money probably isn’t even in your vocabulary. But stores will do everything they can to convince you to toss a couple of added items into your cart this season. Steer clear of these Christmas extras they say you can’t live without! You’ll hear the pitch for the extended warranty as soon as you reach the register. So, we want you to practice saying this: No. It’s a complete sentence. Now wasn’t that easy? You should decline the extended warranty simply because it’s not a good deal. Warranties at electronic stores are ridiculous because these stores have slim margins on the products they sell. And since they have to make money somehow . . . hello, upselling of extended warranties. The markup is unreal! Stores can make a major profit (and commission) just from selling one to you. That’s why you’ll hear a pitch about a $1 warranty on your $2 pack of chewing gum. You’re getting really good at this. Everyone from big-box retail stores to Uncle Bob’s Toothpick Shack seems to have their own store credit card these days. They’ll be more than happy to offer you 10–20% off a $7 purchase of Santa Claus socks, if you’ll just open a credit card account. And watch out for those tricky "store cards"—a lot of them are credit cards in disguise! Just think, you could still be paying off this year’s Christmas next December! Talk about Christmas memories that last—bah, humbug to that! Bought everyone on your list an iPad. When your budget said only buy one. It might be Christmas, but that doesn’t mean you need to buy people pricey electronics. It’s still Christmas whether you gift your friends and family with a nice coffee mug for beverage-sipping or a big-screen TV for game-watching. And once you start buying the fancy Apple products, TVs, cameras and other gadgets—where do you stop? If you’re getting mom an iPhone, dad’s going to want one too. If you’re bro is getting a drone, what do you get your sister-in-law? Your 7-year-old wants an iPad? Nice try, kid, here’s a pencil and a notepad. Think about it: Any way you slice it, electronics add up to be way more than most people want to spend on Christmas. But we end up giving in once we get caught up in the Christmas craze. 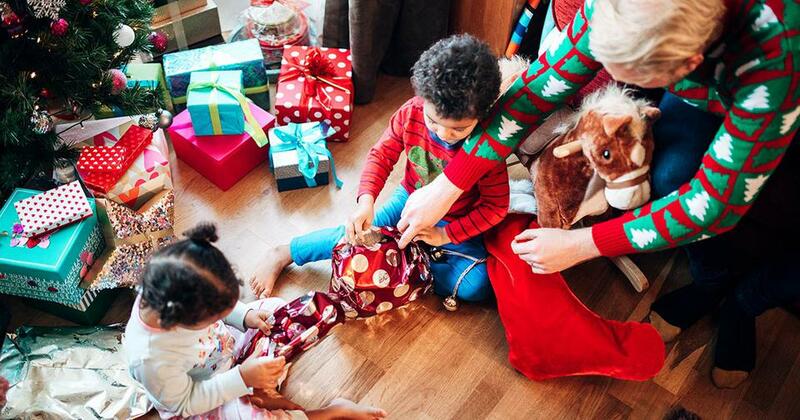 Steer clear and focus on more personalized (and cheaper) gifts that will be meaningful. You might be thinking, Who buys exercise equipment at Christmas? And the answer to that is—a lot of people, actually. Why? We all know January is lurking right around the corner. And even though we aren’t about to pass up that second round of chocolate pecan pie, we’ll splurge on an expensive elliptical . . . in the hopes that seeing it every day will make us want to use it. So you want to make a commitment to stay healthy—and that’s a good thing. But if you wait until January, you might find some better sales headed your way. Stores are trying to clear out what didn’t sell over Christmas, and they know the rush of New Year’s resolution-ers has already passed. That’s the time to score a great deal. Better yet? Check out your local Facebook Marketplace or craigslist for good, used equipment to get your fitness on. If it’s complimentary at the store, go for it. But you really don’t need to pay for someone else to wrap all your gifts. This isn’t the North Pole. You’ll save a ton of money by just buying a roll of wrapping paper and a bag of bows from the local dollar store. It’s all going to get ripped up on Christmas morning anyway. You could also get crafty and creative! Grab some newspaper, brown bags or butcher paper and wrap your gifts with it. You can dress them up with some festive twine and ribbon, or let the kids decorate them with stamps and markers to give to the grandparents. It’s affordable and adorable! And if you really want to try something unconventional this year, how about using wrapping paper made out of a potato chip bag? We’re serious. All you have to do is turn an (empty) bag of chips inside out, wash it, and then use the shiny, silver foil to wrap your gifts! You don’t need overnight shipping because you’re planning ahead, right? Don’t wait until December 22 to order your Christmas presents. If you order a few weeks earlier, you might even be able to get free shipping and have it arrive in plenty of time for Christmas. Santa’s on a tight schedule, and he doesn’t have time to sit around and wait for your last-minute order! Plan ahead (like right now!) so you don’t have to worry about those extra overnight shipping rates. Oh yes, this is so “extra” as the youths would say. 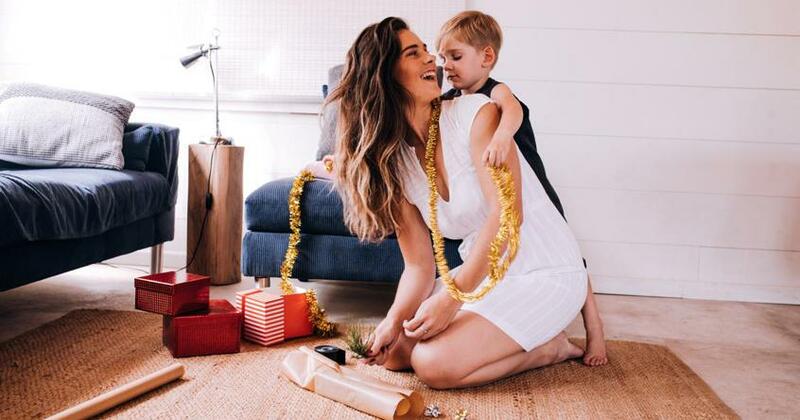 Just because your kid (who has been mostly good all year) put 20 super-expensive items on their list doesn’t mean you have to spring for all of it. Set a reasonable budget, determine what’s fair for each kiddo, and stick to it. Be sure you’re following realistic gift guidelines before you go out shopping. Don’t let your kid’s list dictate how much money you spend—your budget should do that. Look out for sneaky buys that drain your budget too. Some people can spend just as much money on stocking stuffers as they do on regular gifts under the tree. Don’t get swept up in a stocking that looks like it was stuffed by Santa himself. Set a minimum per kid and keep it simple. Don’t break the bank on stocking stuffers when your local dollar store has everything you need. We know you want to send out the annual Christmas card with a festive photo of the family and your holiday-ready pet, but do you really need to? If you do, go the inexpensive route: Skip the professional photographer and set up your tripod and self-timer. Or ask a family friend with a good eye (or on-point photography skills) to snap some Christmas photos for you. When it comes time to print the Christmas cards, look for companies offering coupon codes. Some will even give you a certain number of cards for free—all you have to pay is the shipping cost. You can cut costs even more if you only send those Christmas cards to five to 10 of your closest friends and family. It’s okay to be a little selective here. You don’t really need to send a card to the pizza delivery guy, your boss’ cousin, and your ninth grade Sunday School teacher. Ready or not, this is the last full week before Christmas is finally here! 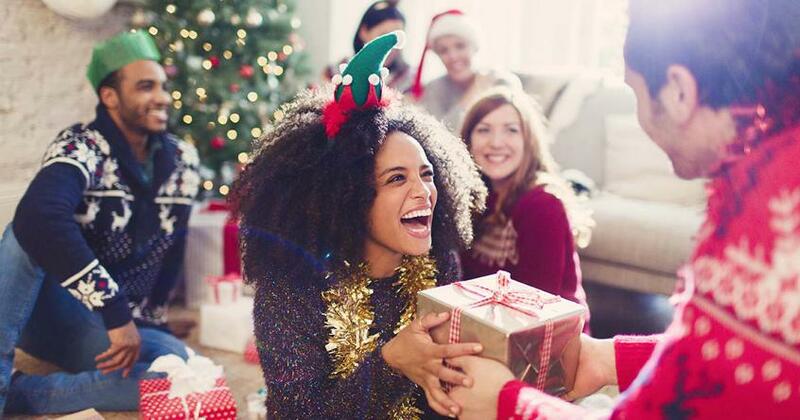 We’re not trying to burst your holiday shopping bubble, but remember this: Christmas is all about finding joy by spending time with others and blessing them—not spending money just because every Christmas commercial told you to. Invest in meaningful experiences and gifts that will make a difference in their lives—not in another fruit cake, trendy gift or touch-screen gizmo. If you’re stumped for ideas, we have plenty of purposeful gifts in our online store that will leave a lasting impact long after this Christmas season is over! 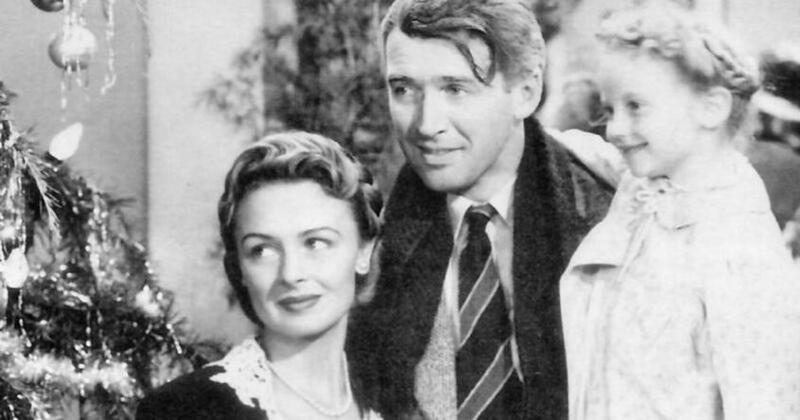 What can your favorite Christmas movies teach you about money? A lot! And we aren’t even talking about not giving out loans (looking at you George Bailey!). You could regift a present from last year that’s been collecting dust in your closet, OR you could give something meaningful. Want to avoid your home resembling a scene from Home Alone? 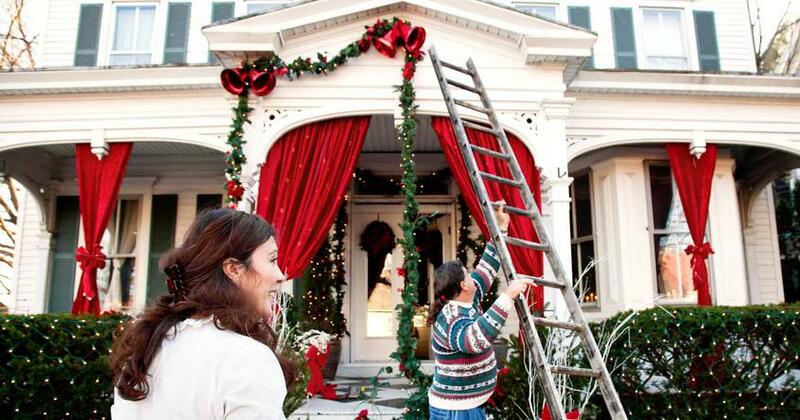 We have 22 ways you can protect your home during the holidays and all year-round. Have a very merry (and stress-free) Christmas this year!